Flat feet are a common condition of the foot structure in both children and adults. In infants and toddlers, prior to walking, the longitudinal arch is not developed and the appearance of “flat feet” is normal. Most feet are flexible and an arch appears when children begin walking. The arch continues to develop throughout childhood, and by adulthood most people have developed normal arches. 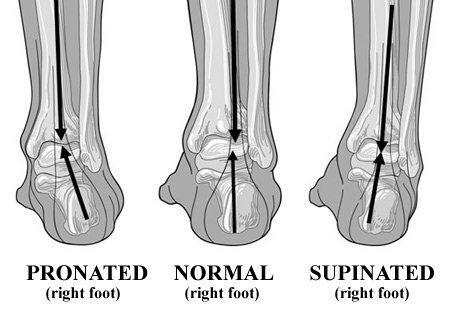 Flat feet are generally associated with pronation, a leaning inward of the foot and ankle bones toward the center (midline) of the body. Shoes of children who pronate, when placed side by side, will lean toward each other (after they have been worn long enough for the foot position to remodel their shape). Flatfoot may occur on both feet or just one foot.